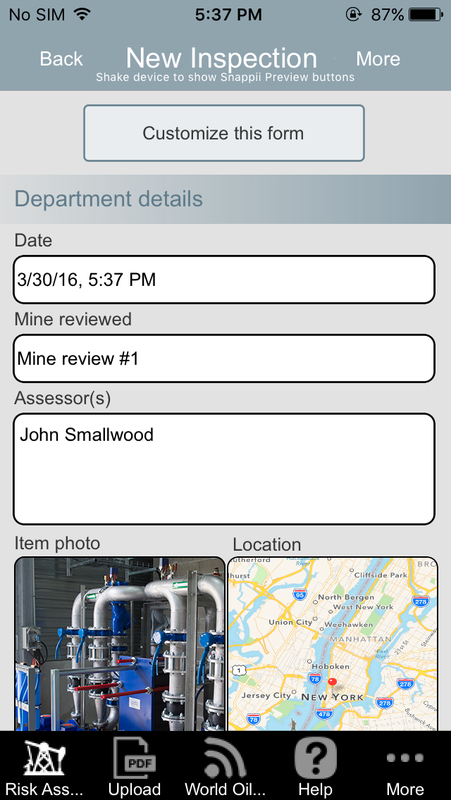 Oil and Gas Risk Assessment Summary app is ideal to make oil and gas risk assessment summaries right on sites and transfer collected data to the office via email. 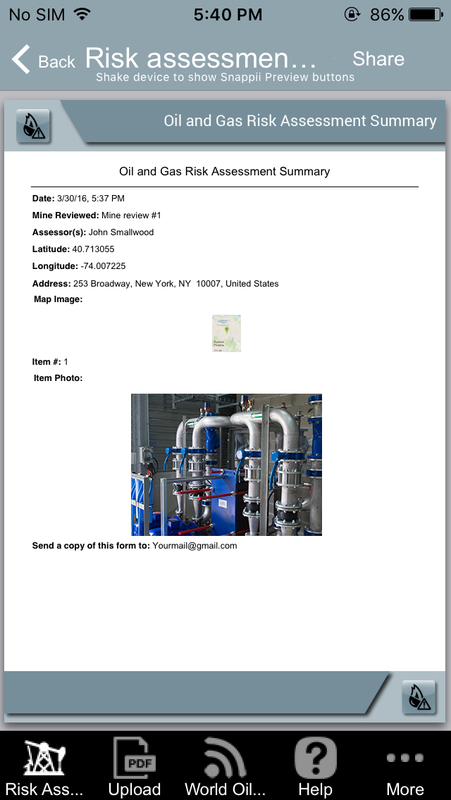 Oil and Gas Risk Assessment Summary app is ideal to make oil and gas risk assessment summaries right on sites and transfer collected data to the office via email. The app works offline and collected information can be finally shared when a device gets connected to Internet.